Our new favorite craft for any holiday is making a suncatcher. 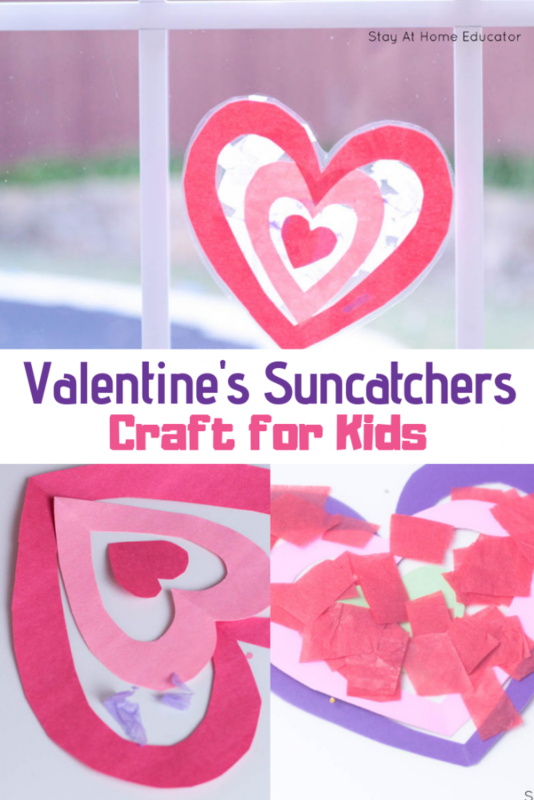 With very little prep work, this Valentine suncatcher craft can be completed within a half an hour. They also appeal to a wide range of abilities and ages. My favorite aspect of such a craft is how much is brightens up a classroom or a home! Winter sun shines through these suncatchers in the most uplifting way providing a festive atmosphere all February long. 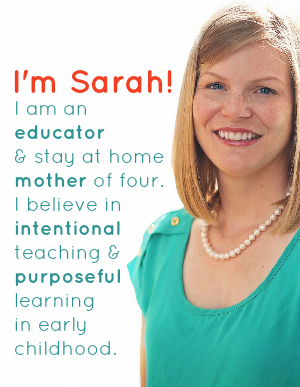 If this is your first time, please join me regularly via E-mail in the right sidebar, Facebook, Twitter @StayAtHomeEdu, and Pinterest. 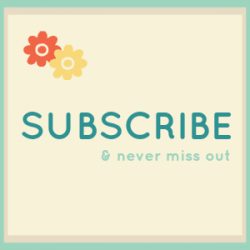 This craft can be used as more than just a simple time filler. Allowing children to cut their own tissue paper squares builds fine motor skills and offers cutting practice. You can also challenge the preschoolers to make their own heart outlines from paper, building even more cutting skills. And you can sort the tissue paper squares by size, adding a fun math twist to this craft. 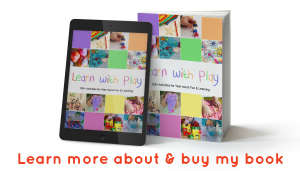 Gather your supplies in advance before starting this activity with your preschoolers. If you are working with kids younger than 4, you may want to cut the tissue paper in advance. 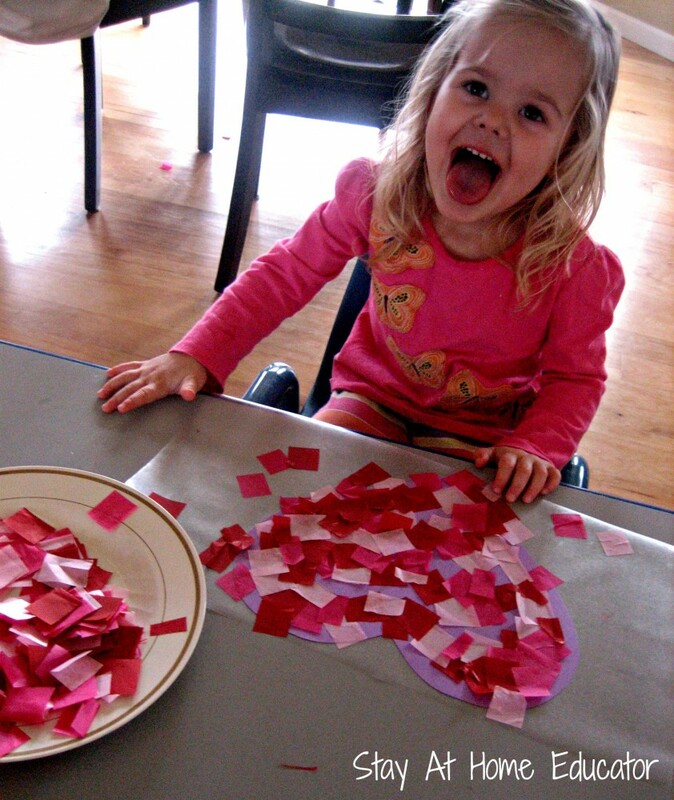 Older preschoolers can cut their own tissue paper squares as part of the activity. Begin by cutting out a few hearts of diminishing sizes. 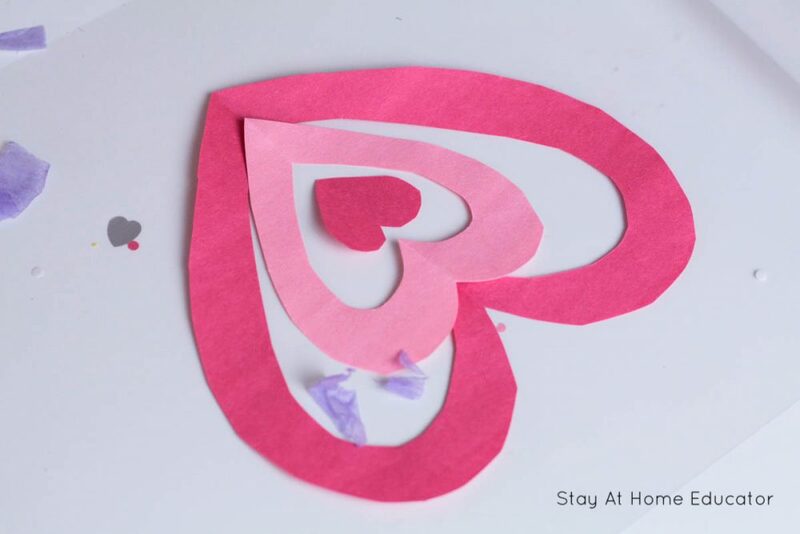 Cut out the center or each heart and sequence the hearts on the sticky side of a piece of contact paper. Then, invite your child of students to add pieces of tissue paper to the heart. I had to remind my kiddies to only place tissue paper inside the hearts, since we’ll be cutting away the exterior. 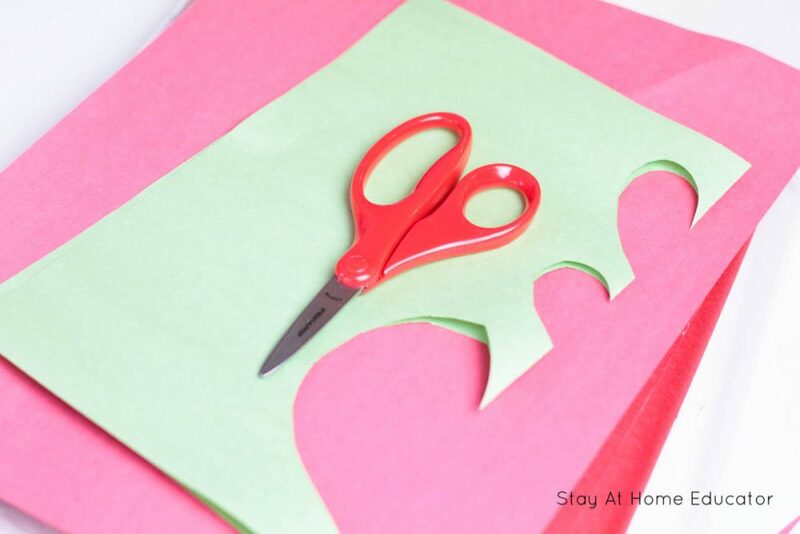 Once the hearts are full of tissue paper, and there are little to no gaps, add another layer of contact paper on top, encasing the hearts as though you were using contact paper to laminate. Alternatively, you can build the hearts on a laminating sheet and run it through the laminator to encase the suncatchers. 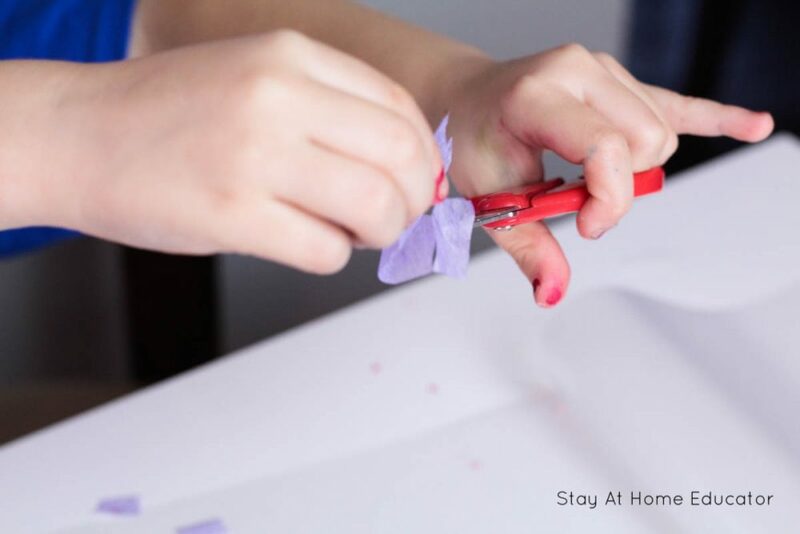 This works as a wonderful alternative if you don’t have any contact paper on hand, or if your kiddos cosntantly mess up contact paper by wrinkling it or getting it stick to hair, clothing, or dirt. 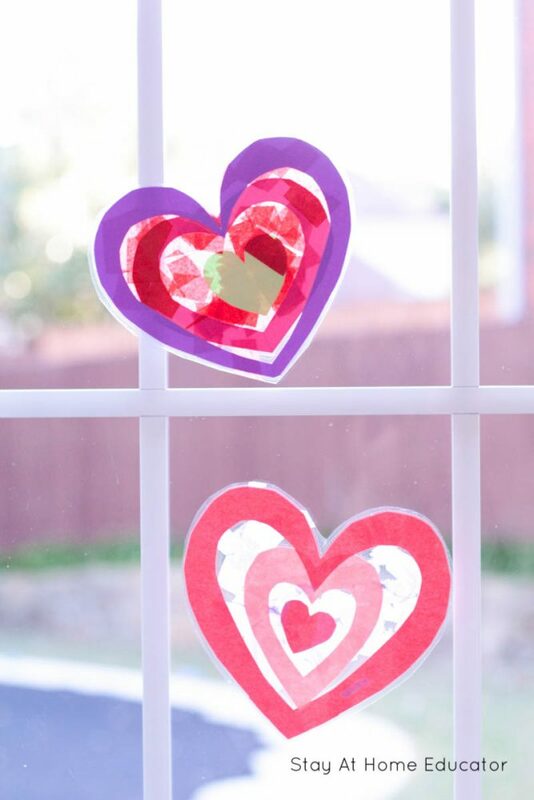 Hanging from the windows, these suncatchers contrast the purple construction paper heart with vivid hues of red and pink. The classroom will be brighter all season long! Made these yesterday with my 4th graders and they loved it!!! Next wrk my mom and her 1st graders take it on!! My window looks beautiful!!! Thanks for this idea! !